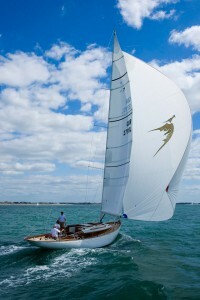 A quick semi-custom day sailer with eye catching styling, the Huzar 28 also comes at an affordable price. Poland has a long and distinguished heritage of boat building, together with a surprisingly large number of small, innovative boat building companies, that collectively produces an astonishing 15,000 boats a year, ranging from canoes to superyachts. Take a look at the Delphia 34, Delphia 31 and Galeon 430 skydeck review – all yachts and powerboats made in Poland that have featured on boats.com. Most of these companies were founded only after the fall of the Berlin wall 25 years ago. It’s also the home to an interesting hotbed of new ideas and concepts in a way that is now rarely seen among Western boat builders. The Huzar 28 is innovative and comes with a wide range of optional extras and customisation is possible for a reasonable price. The Huzar 28 from Warsaw-based Huzar Boats is the result of a collaboration between naval architect and engineer Tymon Butkiewicz and artist Wojtek Wesolek. It’s an elegant sportsboat-style daysailer/weekender that offers a blend of fast, fun and hassle-free sailing, with easy handling. The specification can be tailored to the owner’s individual needs, including the option of an innovative twin-foil rudder that improves control when the big rig is fully powered up. 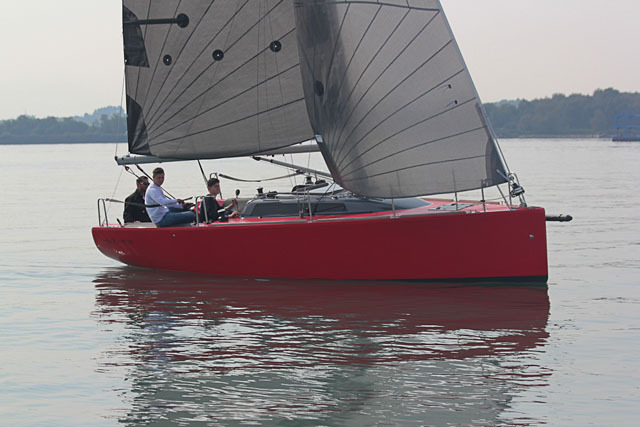 Poland is home to an expanding, innovative boat building industry where designers are open to new ideas and original design concepts, such as the Huzar 28. 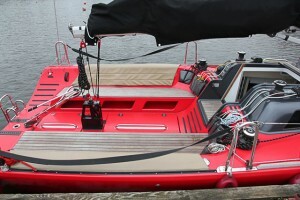 The efficient deck layout and rig are designed to easily tame the boat’s power, while retaining a comfortable and largely uncluttered cockpit. 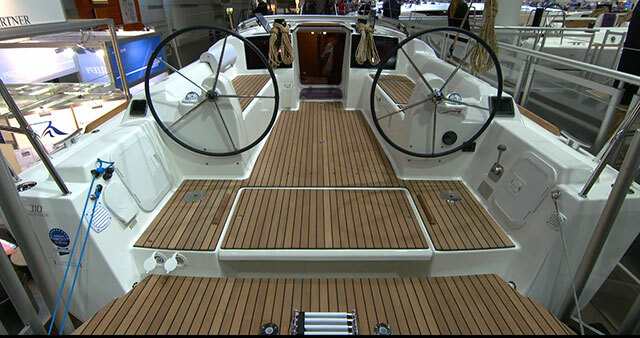 The cushioned side benches create a level of comfort that’s rarely seen on boats of this type and size, although when in racing mode you can also hike out with legs over the side in a conventional fashion. Our test boat was equipped with single-line reefing and a roller-furling headsail, making it easy to change the sail area to suit conditions. However, given that the sail plan has a non-overlapping blade jib a hanked on sail would add only minimal inconvenience, while saving the cost and weight of the furling gear. We sailed the boat on a very blustery day in Poland, with powerful gusts and big lulls creating conditions that would be challenging for any boat. Given that our test boat was one for which the owner had specified a very light keel bulb, it was no surprise that she heeled readily in the gusts. However, with the standard 1.2 tonne bulb, which gives a very impressive 48 per cent ballast ratio, the boat could be expected to be much more docile, with the feel of a larger craft. Nevertheless, the twin blade rudder fitted to this boat kept it under easy control. This was fitted in preference to the more common twin rudders mounted on each quarter in order to maintain performance when sailing in very shallow waters with the keel raised. Our test boat was fitted with an inboard diesel engine, although those wanting to economise on cost or weight can also opt for an outboard. 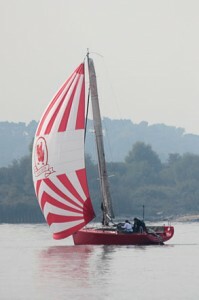 The interior space is used to good effect, resulting in surprisingly good accommodation for a boat of this style, although the volume available is inevitably somewhat limited. There’s a decent-sized double berth right forward under the foredeck, plus comfortable short settees, with the backrests taken out to the hull sides further aft. There’s also a separate heads compartment and a quarter berth. The boat’s low-profile lines mean headroom is of course limited, but in higher specification examples the fit out makes for cosy overnighting for a couple or even a small family. One benefit of building in Poland is that the low labour and infrastructure costs mean that a high degree of customisation is possible in boats with a relatively modest price tag. As a result, there’s also a wide range of options including fixed or lifting keels and owners can specify the weight of the keel bulb to match their requirements. 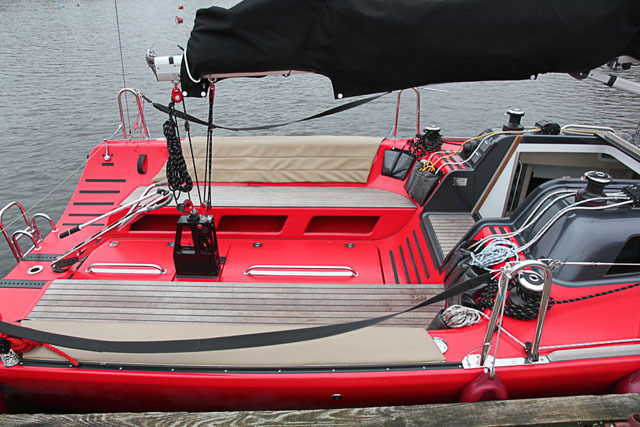 Other options include the level of interior trim and a rig that can be easily lowered for transport by road or to allow access to inexpensive moorings above low bridges. The Huzar 28 is an elegant, semi-custom sportsboat-style daysailer/weekender that offers a blend of fast, fun and hassle-free sailing, with easy handling. 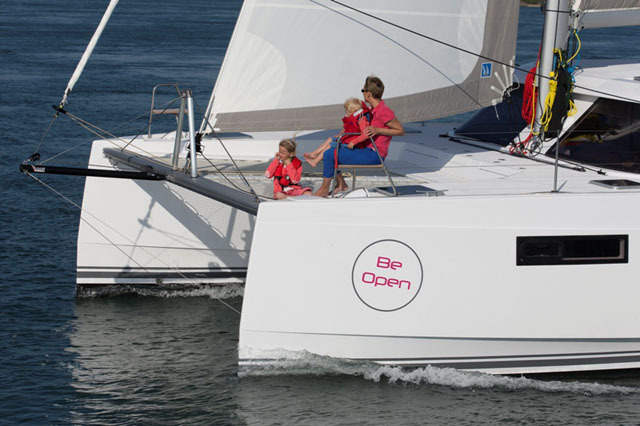 This is a boat that’s focussed on the fun of sailing, in a stylish and attractive package with a very attractive base price, however, the cost can ramp up quickly once some of the tantalising extras are included. The biggest compromise that springs to mind is the tight interior accommodation, especially on lifting keel versions, where the keel case takes up valuable interior space. In addition, some keen racers, while appreciating the boat’s performance and handling, may be disappointed by the lack of a tight one design class of equally matched boats. Interested? 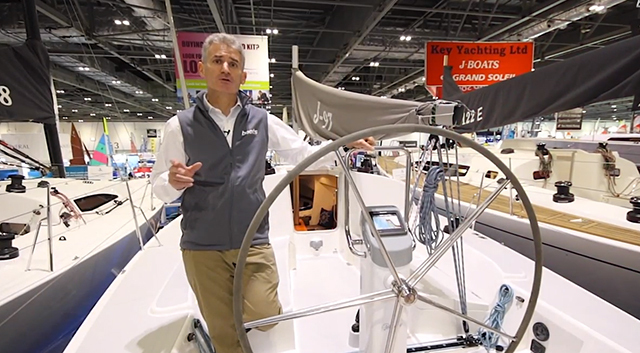 Watch this quick video tour of the Huzar 28 with boats.com reviewer Rupert Holmes. The Huzar range also includes a 21ft trailer sailer with more conventional styling and a 42ft model with similar styling to the 28. The latter offers considerably more deck space, including a separate guest cockpit, and twin wheels. Below decks there’s space for two well-appointed double cabins, including a decent owner’s suite, as well as a spacious saloon and functional galley. 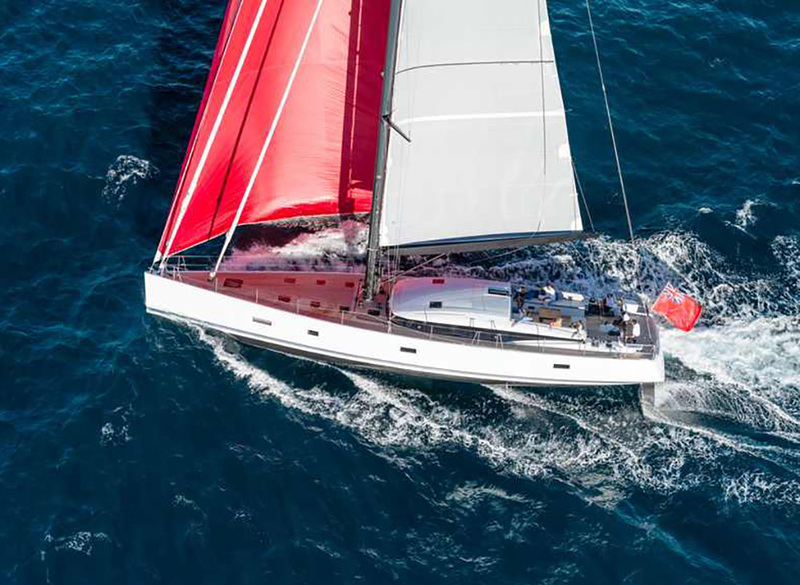 While there are plenty of daysailers on the market, none manage to combine the high-end styling of the Huzar 28 with its attractive price tag. One of the closest matches in this respect is perhaps the J/80 sportsboat, while the Arbor 26, Tofinou 8 and Rustler 33 all offer stunning looks and performance, but at a higher price.